The family will receive friends 5 -7 PM Tuesday at Ferguson Funeral Home, 202 E. Main Street (St. Rte. 161W) Plain City where the funeral will be held at 11:00 AM Wednesday, February 6, 2019. 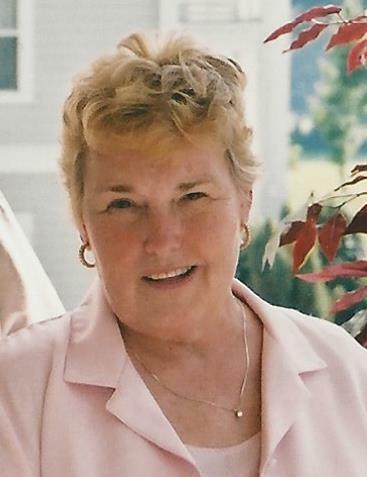 DARLENE ADDINGTON WEISHEIMER age 83 of London passed away peacefully Saturday afternoon February 2, 2019 at London Health and Rehabilitation Center. Born September 21, 1935 in Louisa, KY. Retired from National City Bank (PNC) after 20 years of service. Previously worked for the Columbus City Center, American Standard and was a dental hygienist. Preceded in death by her parents: Elza and Garnet (Short) Moore; brother: Ray Moore; brother-in-law: Richard Greer. Survived by her loving husband of 15 years: Marvin Weisheimer; children: Ellen Webb, Andy (Tara) Addington; grandchildren: Nathan, Megan; sister: Reva Greer, an uncle, numerous nieces, nephews and cousins. The family will receive friends 5 -7 PM Tuesday at Ferguson Funeral Home, 202 E. Main Street (St. Rte. 161W) Plain City where the funeral will be held at 11:00 AM Wednesday, February 6, 2019. In lieu of flowers contributions may be made to the Alzheimer’s Association, Central Ohio Chapter, 1379 Dublin Rd., Columbus, Ohio 43215. Visit fergusonfuneralhomeinc.com to share a special memory. Deepest sympathy to Darlene's family from the South High classes of January and June 1954. Darlene was like a grandma to me, she was such a beautiful kind person and she was always there every time I would go to Megan's house. I hope she rests peacefully in heaven. I love Megan's entire family and I will keep all of you in my thoughts and prayers. We will miss you, Darlene.